United Umber Industries is the largest company processing and trading Cyprus Umber and Sienna products having more that 80% of the market share worldwide. United Umber Industries has more than 100 years experience in the Umber and Sienna market. We own quarry licenses for several locations in Cyprus for both umber and sienna. 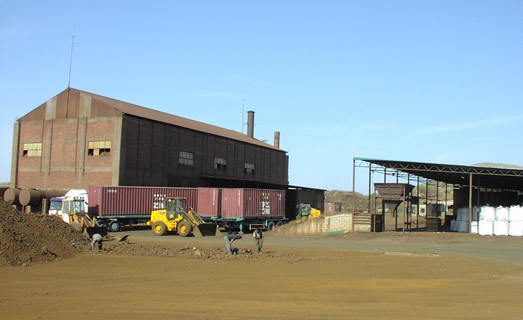 We mine, process and trade more that 8000 m/tons of umber and sienna products annually and 90% of our products are exported to several of our clients in North America, Europe and Asia. We provide both Crude and Powder Products. Our Crude products include Crude Raw Umber, Crude Burnt Umber and Crude Raw Sienna. We also have Powder Raw Sienna and several shades of powder umber both as Burnt Powder Umber and as Raw Powder Umber. Our Burnt Powder Umber products are available in two different mesh size 325 mesh and 400 mesh. Burnt Umber is a naturally occurring ore, which is calcined at our facilities in Cyprus. Visual tests are conducted on each lot to maximize consistency and quality. The resulting pigment produces a brown shade with natural undertones in wood stain applications. Umbers are preferred colorants in furniture stains and high-quality wood finishes because of their transparency and ability to enhance wood grain appearance. The pigment from Crude Burnt Umber is also used in medium-gloss coatings, artist paints, coatings processed on intensive dispersing equipment, liquid colorants, paper, plaster and stucco applications. In addition, it is suitable to colour products made with cement. It is stable under exposure to sunlight and UV radiation and is alkali, chemical and weather resistant. Crude Burnt Umber is packaged in 50 kg polythene bags or 900-1000 kg Jumbo Bags. Uses: wood stain, paint, colorants, adhesives, ink, concrete, stucco and plaster.